Clay Enos is Zach Snyder's photographer on Dawn of Justice. He released some really awesome pictures relating to Batman and Dawn of Justice over the San Diego Comic Con weekend. The first one is an amazing shot a sandy Batman. 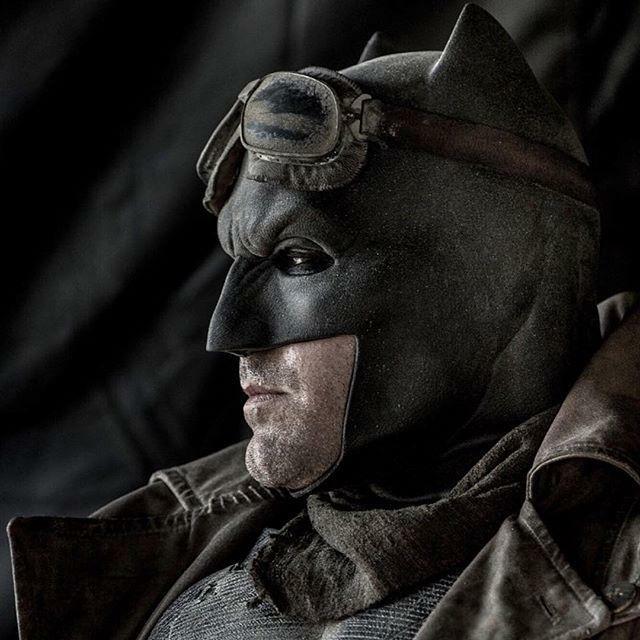 I would have never believed I would have liked a picture of Ben Affleck as Batman before this shot. Its incredible. There is a scene in the trailer where Batman is seen climbing in a desert which likely relates to the photo. The other picture was a GIF that combined the scene in the trailer where Bruce Wayne is watching his Wayne Tower be destroyed with the corresponding scene in the Man of Steel film. If you watch closely the arcs of the lasers seem to match exactly. Now that is freaking impressive!